Basic Life Support (BLS) services are available to individuals in need of careful medical attention while on travel. Force EMS provides 24/7 available emergency transport for hospital to hospital transfer, care home facilities, or home to hospital transport needs. Our BLS ambulances are geared with the necessary equipments and technologies to cater the needs of the patient while on board. Along with these are trained and professional transfer technicians and nurses to facilitate patient safety with careful monitoring of vital signs, IV treatments and Oxygen Therapy. Advanced Life Support Service is an extension of the BLS services since it involves a higher level of EMT care that sustains the patient’s well-being while on transit. Casually, it involves basic life-saving procedures, along with ambulances that are facilitated with state-of-the-art heart equipments, IV pumps, CPAP, oximetry, etc. Medications are also administered based on multiple considerations such as state laws, wide physicians’ preference and local standard care. Furthermore, ALS services are delivered by Force EMS with responsive crew and highly trained paramedics and EMT professionals to do the necessary procedures on board. One phone call is all we need to provide you with the emergency support you require for inter-facility transport rites. 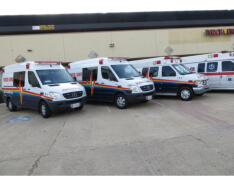 These are designed to transport critically-ill and injured patients from point to hospitals and emergency care units where they can acquire of pre-hospital treatments demanded before given to institutional handling. MICA paramedics, to respond appropriately to emergencies of varying degrees, are duly trained in the specifics of care, usage of equipments, and administration of medications that demands prompt thinking and right decision-making.